Owen B Dunn Jr., the son of Owen Sr. and Cecilia Dunn, was born and has lived his adult life in Toledo, Ohio. He has one sibling, a younger brother, Adam. Married to Elaine Downard, of Napoleon, OH, on May 4, 2002, they make their home in Toledo's city limits. They have one daughter, Abigail Frances. Owen B Dunn Jr. is a member of the Ohio State Bar Association, Michigan State Bar, National Association of Consumer Bankruptcy Attorneys, Toledo Bar Association and Detroit Metro Bar Association. He is admitted to practice law in all Ohio and Michigan Courts, as well as the Federal Courts for the Northern District of Ohio, Southern District of Ohio, Western District of Michigan and Eastern District of Michigan. Owen is a graduate of Toledo Whitmer High School. He obtained his bachelor's degree from The University of Toledo and a Juris Doctor from The University of Toledo College of Law. He also studied at The Universidad De Castilla-La Mancha in Toledo, Spain. 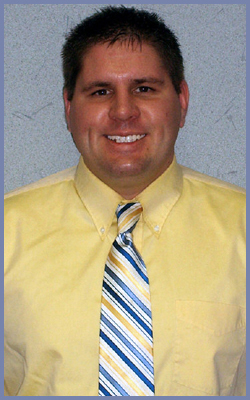 Today, Owen is an active member of the University of Toledo Alumni Association and the Downtown Coaches Association. He is often on the road following The Rockets to athletic contests far and wide. Owen has also been a member of Emmanuel Baptist Church since 1983. It would be my pleasure to provide you with affordable, capable and dedicated legal representation. Copyright2019 Owen Dunn Jr. All Rights Reserved.